The Marlborough Oak Combinationr Wardrobe is the perfect addition to any bedroom. It has a large hanging space with 2 full width drawers to the bottom. The solid oak and oak veneer construction looks great and is strong and durable. The waxed oak finish gives a great look that will match many bedroom decors. Both the doors and drawer fronts feature ergonomic metal handles. The sturdy hinges keep the doors firmly in place, when both opened and closed. The top surface of the wardrobe is 3cm thick allowing for storage above the wardrobe should you need to. Тhe Marlborough Oak Combination Wardrobe is supplied flat packed, the assembly instructions provided are easy to follow. This item will be heavy please take care when lifting, it may require two people. Do not drag the item, it may cause damage to the joints. 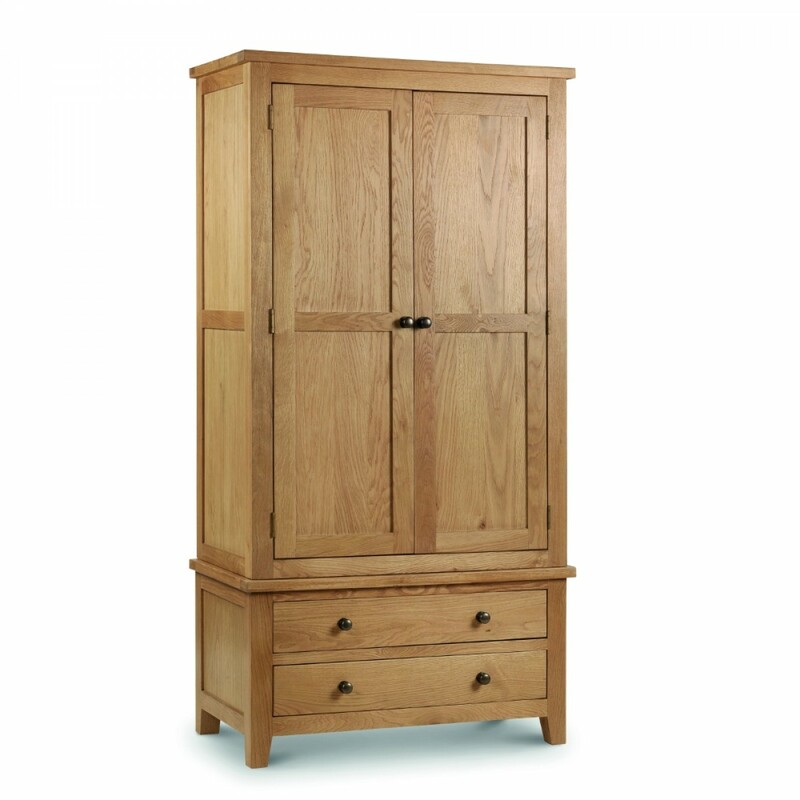 The Marlborough Oak Wardrobe is part of the Marlborough Oak Wooden Bedroom Furniture Collection.